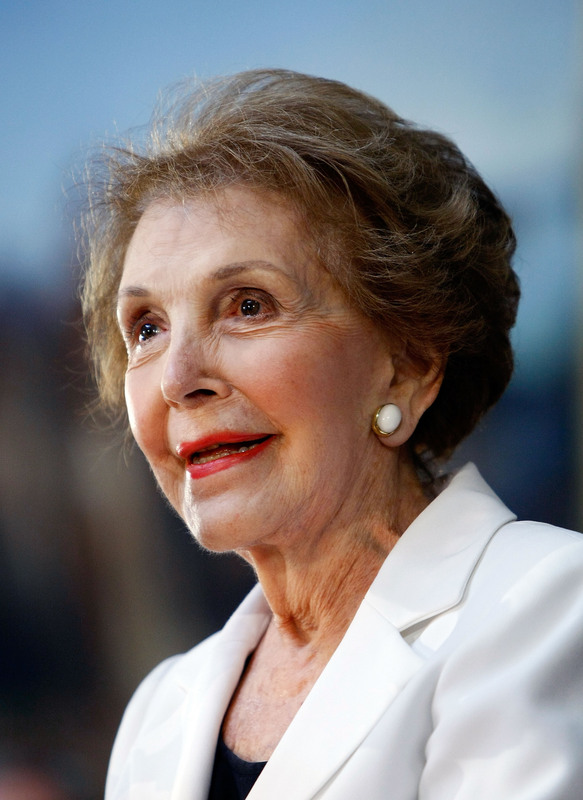 On Sunday, March 6, news broke that former First Lady Nancy Reagan died at age 94. While she is often associated with her husband, the late Ronald Reagan, she's worthy of praise in her own right. Before she even married the 40th President, Reagan had an acting career — in fact, the two starred in a movie together called Hellcats of the Navy . During her time in the White House, she led a popular anti-drug initiative called "Just Say No," which is certainly noteworthy. But the most important thing that Reagan should be remembered for is encouraging women to be proactive about their health and do what's best for them. It was my choice to make, so don't criticize me for making what I thought was the right choice for me. What a powerful message. It resonates today in all aspects of women's health — that no one should judge your decision of what do with your body, because they're not in your shoes. She spoke about the surgery again in 1990, saying, "This is an extremely personal decision that each woman has to make for herself. Mine may not have been right for somebody else, but it was right for me." These empowering statements tie in perfectly with a quote Reagan once gave about feminism, where she said, "Feminism is the ability to choose what you want to do." I couldn't possibly lead the kind of life I lead, and keep the schedule that I do, having radiation or chemotherapy. There'd be no way. Maybe if I'd been 20 years old, hadn't been married, hadn't had children, I would feel completely differently. But for me it was right. That last sentence says it all — it was right for her. She emphasized it wasn't her husband's decision or the doctors'; it was hers. Following her diagnosis, she also became an outspoken advocate for women to get annual mammograms. According to the New York Daily News, Reagan once said, "People should be afraid of cancer, not the mammogram." This message was well-received and studies suggest that it was the First Lady's influence that inspired more women to get mammograms. A study on the CDC website shows an increase in women getting mammograms, following Reagan's public battle with breast cancer as well as promotional campaigns from the American Cancer Society. I'm not suggesting people remember Reagan for her disease, but rather her triumphant battle against it. She shared her story in the hopes of helping others and there's no denying she created a lasting impact. Being proactive about your health and confident in your decisions is a message that really resonates — and this is Reagan's legacy worth remembering.